As you probably know by now, Battle.net has their preview page up for Mists of Pandaria. Looks like some pretty cool stuff is coming up. One thing to keep in mind: Almost none of this should be considered final. Level 90 cap and, I’m assuming, instanced zones to level in. The goal seems to be to immerse people into the story and instanced zones are a good way to do that. The Pandarians and the introduction of new zones – well, Ok, that’s pretty obvious. The new class: Monk. I think the abilities of this class will change a lot between now and release, though. New battlegrounds, new arena, many new achievements, awards, etc. New gear. Dungeon challenges and gear normalization. I think the introduction “item level” in 4.0 will make “gear nomalization” reasonably easy to code, so I’d expect this to be a go. The new talent system (and Specializations.). Not that Bliz doesn’t want to the talent system to be interesting and fun, as well as to get rid of cookie-cutter builds, but they already made major changes with Cataclysm. Do they want to do it again so soon? Plus, Mists is an ambitious project, like any expansion, so we’ll see. Pandarian racials. 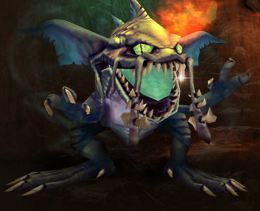 Remember that Goblins and Worgen had some killer racials when Cataclysm was first announced. I expect the final Pandarian racials to be massively changed. Anything having to do with class abilities, specs, etc. Here’s the official Blizzard Mists preview page. So what’s your two cents on this expansion? Q: Will epics from Firelands be replaced by greens in Mists of Pandaria? A: Green is the new purple, every expansion. We want players to feel like they worked hard to have a leg up, but if it lasts too long, we cheat players out of the level experience. I hope that someday we can have a “hall of heroes” that records how hard you did work. For example, if you killed Ragnaros during patch 4.2, we’d like to let you be recognized so that we don’t lose your accomplishments. Q: With some achievements and pets becoming BoA, will mounts maybe become that? A: I can see it being a natural extension, but it will not be happening in 5.0. It’s likely to be happening somewhere down the line, though. Q: Will arcane mages maybe get some more complex play, like a dot–or nerfing arcane blast? A: Yes, in 5.0, living bomb will be a spell for all mages. Q: On behalf of all ret paladins, sorry for crying every day. Anyway, in our level 90 tree, I saw that you were giving us a huge buff. Can you not buff us nor nerf us? Let us be at peace! A: That was very moving, thank you. I mean, the level 90 tier will be relatively similar–so we’re trying to hit those spots, we haven’t tested yet, they will be tweaked. Q: Could you move the 10-man model to a 15-model so we waste less loot and have more balance? If not, maybe a smart loot system? So no mail could drop if you had no mail user in your raid? A: 15-man is something we’d like, but very difficult and changes a lot so it becomes really hard to recruit 5 more people and so on. We would be more inclined to implement smart loot. Q: You’re removing relics for paladins. Could you make librams visible, for the lore of paladins? A: Yes. For sure. Hunters will have ammo pouches, etc. Other things for other classes. Taking away relics as a mechanic doesn’t mean they’re going to be gone on a visual side. Q: How will you show alliance and horde pandaren? A: Your UI will mostly tell you. The players don’t depend on visual cues, they mostly depend on red names and red tooltips and so on. Primarily the UI distinguishes. We may try to help it. They won’t look different most likely. There’s a lot more. Read it here. Ok, so that one doesn’t look much like Charmander, still, it’s a pet and Bliz is thinking about allowing pet battles in the Mists of Pandaria expansion. For years, your faithful vanity pets have accompanied you on countless adventures. They’ve provided you with comfort, company, sometimes even with entertainment and hours of fun. Maybe you only have a handful of pets you really love, or maybe you have made it your quest to capture as many of them as you can. The fact remains, heroes love their little companions… and in Mists of Pandaria, they will take the spotlight in a brand-new way. Training your pets is important if you want them to succeed. You can seek out pet trainer NPCs who will teach your pets new tricks, but some of these trainers will challenge you to a duel; you will have to show them you’re worthy if you want them to train your pets. There may be other NPCs as well who love nothing more than to see if their pets can best yours in battle. They’ve been at your side through thick and thin. Now, get to know your most faithful companions from a whole new point of view, and discover their full potential. So gather your pets, train them well, and maybe one day you will make a name for yourself as Azeroth’s most renowned pet trainer! You and your friends can pit your pets against each other in fun, friendly duels. You can teach your pets unique abilities and attacks, and they will use these abilities when battling other pets. As they fight and win battles, your pets will gain experience and level up, which makes them tougher and may even unlock new abilities. Assemble your roster and duke it out with your friends to see whose pets are the strongest! The next WoW expansion is Mists of Pandaria. Yes, you will be able to play a Panda. Keep in mind that a lot of this stuff will change between now and release. Is this a good thing? What do you think? A new race, a new class, a level cap of 90 and more on the way. Mists of Pandaria was rumored a while back to be the name of the next expansion pack for World of Warcraft. Blizzard countered by saying Pandaria and the Pandaren weren’t the sort of material to expect from the fourth expansion. It turns out that was a bit of misdirection, as those panda-like creatures are precisely what we’re going to see a great deal of in the newest expansion. The announcement were set up by Blizzard’s Chris Metzen talking about how previous expansions all dealt with a big new enemy who threatened everyone. He explained that the new expansion focuses on war and conflict between the Alliance and Horde before a trailer for Mists of Pandaria was shown. WoW Insider has a live blog of the panel discussion, which answers some questions about the expansion and a few other topics. The pandas will be playable by both Alliance and Horde. Here’s WoW’s Official Mists of Pandaria Page – Shrouded in fog since the world was sundered more than ten thousand years ago, the ancient realm of Pandaria has remained unspoiled by war. Its lush forests and cloud-ringed mountains are home to a complex ecosystem of indigenous races and exotic creatures. It is the homeland of the enigmatic Pandaren, a race that celebrates life to the fullest even while under siege by an ancient menace. WoWheadNews has a bunch of info on the various classes, the new Monk class, and an early talent calculator. MMOchampion has dungeon trailers and their Mists forum is now open. Oh yeah, Theramore will be destroyed.